Donovan Wu faced tough decisions regarding athletics, academics and his social life. Pictured is Donovan Wu signing his National Letter of Intent to University of South Carolina on Nov. 14. With a soccer career that started by accident, Shawnee senior Donovan Wu has progressed immensely — although his story takes a route out of the ordinary. At 8 years old, Wu accompanied his older brother to soccer tryouts, and to pass the time Wu decided he would try out for the Medford travel team. To his surprise, he made it. Wu said that team ended up having a lot of talented soccer players with high aspirations, which motivated him to join the Aaronson Real club team in fifth grade. Wu’s mother, Kelly, said she and her husband have been accepting of whatever paths their three sons choose to take in life. “We’ve always allowed them to guide us as to how we’re going to support them. They make their own decisions as far as what they’re trying to pursue,” Kelly said. He played on that team until he was in eighth grade, when he joined the Continental FC Academy, based out of Conshohocken, Pa. Being a part of a higher league was a change of pace for Wu. As he left a team of peers he’d grown up with, he began training almost every day and traveling farther for games. “Those were the years I probably worked the hardest because there was so much competition,” Wu said. He said although he entered an intense environment with unfamiliar faces, he had the opportunity to meet more people as he advanced in the sport. During his time at the Continental FC Academy, he was invited to the Nike-sponsored id2 program in Argentina for approximately 10 days. From there, his soccer career took off and he joined the Philadelphia Union Academy, which he was a part of for the past three years, until he had to make a tough decision. Union players are often encouraged to attend a private school, YSC, that is focused around soccer, and it was made mandatory this year — a year earlier than Wu anticipated. Instead of following the path that was encouraged, he decided to forgo the option to attend YSC, and to complete his senior year at Shawnee. 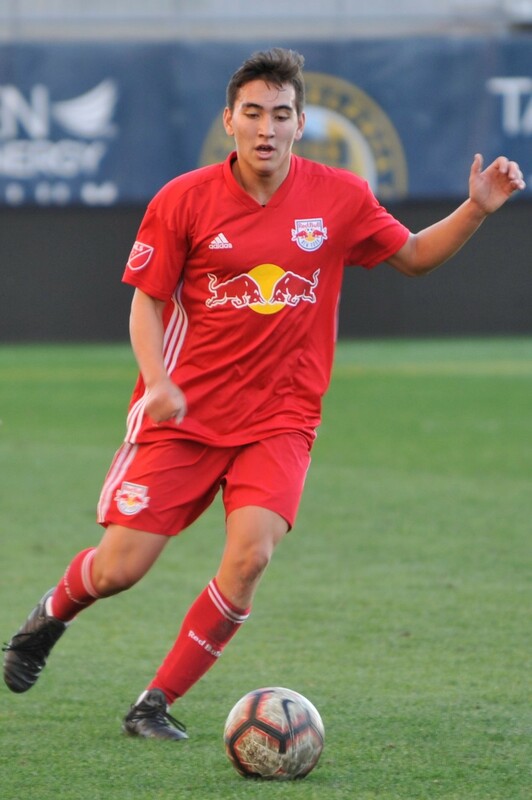 He took a risk and tried out to be on the New York Red Bulls Academy for his final U19 academy season, and prevailed. He currently drives almost two hours one way to practice three to four times a week, but he feels it is worth it to continue to keep his current academic and social aspects of his life. With a 4.0 average, 5.93 weighted GPA, Wu will have more than 40 college credits as he enters college with a full academic and athletic scholarship to the University of South Carolina, Darla Moore School of Business. Wu made another difficult decision to deny offers from Princeton and Yale, due to financial reasons, and he said it was hard to pass up an Ivy League education, but he feels that as long as he puts in the work toward academics, he will be prepared for his future. “He can get the best of both worlds going to the University of South Carolina. They embraced the academic parts of his goals as well as his soccer goals, they were very accommodating in seeing that all of it is important,” Kelly said. 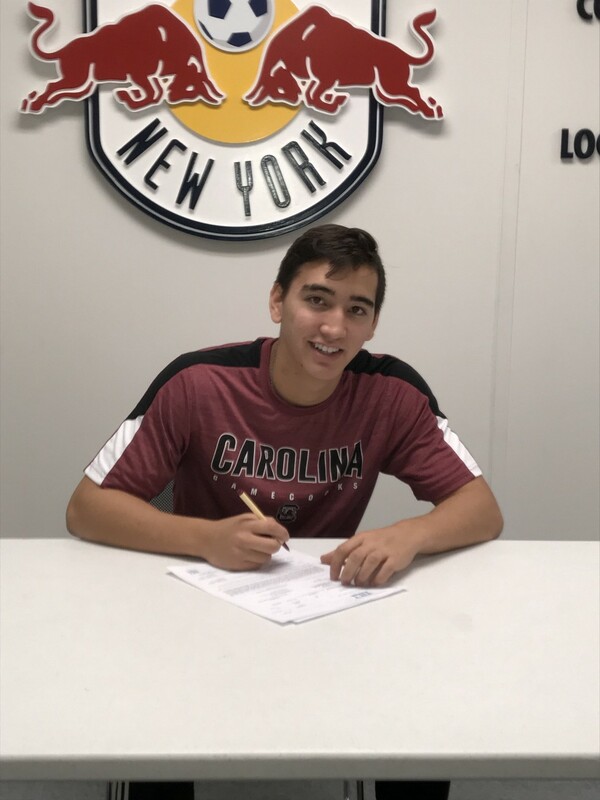 Wu said he is hoping to find his niche at the University of South Carolina, and Kelly feels his innate ambition and level-headed attitude will continue to lead him to success.